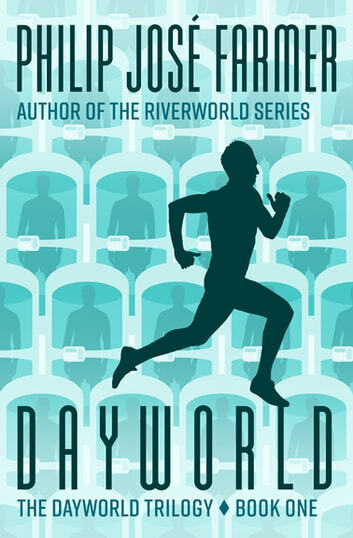 “Every bit as appealing as the Riverworld saga,” this brilliant high-concept dystopian novel features an overpopulated Earth under strict government control (Booklist). Only by being watched may you become free. It’s 3414 AD, the rise of the New Era, and Earth has become massively overpopulated. The worldwide government has recently implemented a system that allows human civilization to continue: Each person lives only one day a week. For the other six he or she is “stoned”—placed in suspended animation. To keep everyone to their particular day, the activities of all citizens of the Organic Commonwealth of Earth are closely monitored. Jeff Caird is an “immer,” one of the rebels secretly working to infiltrate the government to gain influence and loosen the surveillance on citizens. He’s also a “daybreaker,” avoiding stoning and thereby conscious all seven days a week. He operates under a different identity every day, delivering sensitive messages between rebels. Jeff is dedicated to his cause, but maintaining seven separate identities, including jobs, families, and friends, is no small feat, and when the juggling finally begins to take its toll, the immers determine that Jeff is a liability who must be eliminated. Now, he’s fighting for survival and on the run from both his fellow rebels and the authoritarian government that considers his mental state incurable and punishable by death. 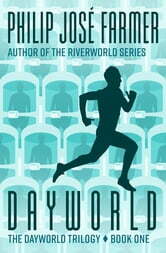 From the Hugo Award–winning author of the Riverworld and World of Tiers series, Dayworld is “an excellent novel, set in a constructed society that is unique and fascinating” (Science Fiction Chronicle).